Benicar is a leading prescription blood pressure medication on the market used to treat hypertension in adults. The drug has been on the market since 2002, and is the most widely prescribed blood pressure medication in America. Benicar belongs to a class of blood pressure medications known as angiotensin II receptor blocker (ARB). However, unlike other drugs in its class, Benicar poses unique dangers to patients. The drug has caused severe and debilitating injuries in patients. Patients have experienced symptoms ranging from dizziness and vomiting to difficulty breathing. Daiichi Sankyo, the manufacturer of the drug, is being sued by patients for their injuries. Goldberg Weisman Cairo dangerous drug attorneys are investigating the manufacturers failure to warn individuals about the dangers of the drug. 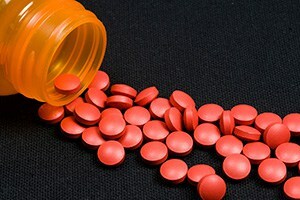 If you have been prescribed Benicar and experienced an illness, you may be entitled to file a personal injury lawsuit. The dangerous side effects associated with Benicar use range from mild to fatal. Patients have experienced conditions and complications ranging from simple dizziness to dangerous heart conditions. What is particularly concerning about Benicaris that patients do not always demonstrate negative side effects immediately. Some studies have revealed that a patient may take the drug for years before experiencing a complication. Unfortunately, once a patient is diagnosed with a negative reaction to Benicar, simply stopping the drug does not resolve the issue. Some patients continue to experience negative side effects even after they are no longer taking Benicar. Benicar has been associated with causing a condition called sprue-like enteropathy in patients. This condition can cause severe weight loss and malnutrition in patients. The condition is also very difficult to diagnose because it closely mimics celiac disease. On Jan. 9, 2015, the United States Department of Justice (DOJ) announced that the manufacturer of Benicar would be required to pay $39 million for violating the False Claims Act. The DOJ found that the company offered doctors a kickback to prescribeBenicar, despite the dangers posed by the drug. Many patients who were prescribed Benicar have died, been admitted to hospitals and have suffered. These patients are now suing Daiichi Sankyo in personal injury lawsuits in federal and state courts around America. There is currently a motion to consolidate all of the cases pending in front of the US Judicial Panel on Multidistrict Litigation. Injured plaintiffs are arguing that Benicar is dangerous and that the company knew or should have known about the risks. Goldberg Weisman Cairo dangerous drug attorneys can help you and your family navigate the maze of laws and the mountain of paperwork that is necessary to successfully take on a large pharmaceutical corporation. Our firm has more than 40 years of experience, over a $2 billion in settlements and awards and a commitment to ensuring that our clients get the justice that they deserve. Large companies have a team of attorneys on their side and it is vital that you have an equally large firm representing your interests. We are Illinois’ largest personal injury law firm and we have devoted our legal careers to holding negligent companies responsible for the injuries that they cause.